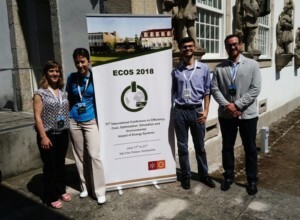 Piotr Józwiak and Aleksandra Kiedrzyńska from IEn and Henar Olmedo and Miguel Castaños from CIDAUT took part in ECOS 2018 – 31st International Conference on Efficiency, Cost, Optimization, Simulation and Environmental Impact of Energy Systems. 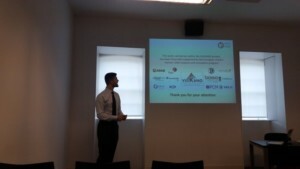 The event was held between 18th and 21st of June in Guimaraes, in Portugal. The conference, which gathers professionals from all around the world, was focused this year in exergy as a process optimization, ORC, thermal recovery, fuel cells, energy storage, renewable energy, combustion, etc.